RBTH presents a selection of views from leading Russian media on international events, featuring reports on General Motors’ conflict with Russian dealers as it leaves the market, the efforts being made by Russian NGOs labeled “foreign agents” to remove themselves from the blacklist, and plans being made by media companies to adapt to new Russian requirements over ownership. The Kommersant business daily reports that the U.S. automobile concern General Motors (GM), which is leaving the Russian market, has found itself in the center of a controversy with its former dealers over termination fees. The parties disagree in their interpretation of the payback period for the investment that the dealers made in showrooms that are to be closed down. According to some players, GM will be calculating compensations on the basis of a five-year payback period, however, the dealers are not happy with it, with some insisting that the payback period should be from eight to 12 years. In addition, Kommersant sources continue, GM is ready to compensate dealers only for the startup costs for setting up showrooms for a specific brand, whereas most dealers maintain that readjusting retail space to other brands is difficult and requires considerable investment. 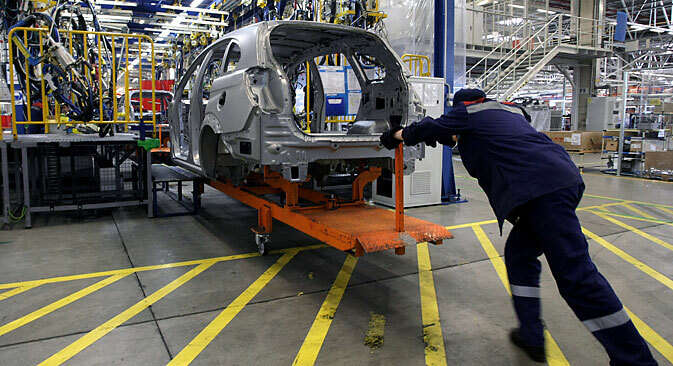 As a result, according to Kommersant, one major dealer asked GM for a compensation of 400 million rubles ($6.7 million), whereas the U.S. concern was prepared to pay just several dozen million rubles. Market players point out that it is in GM’s interests to drag the negotiations out: In the meantime, it is selling its stocks, thus leaving the dealers with less leverage. According to VTB Capital analyst Vladimir Bespalov, one of the most acute issues is that of lost profits: Given the current difficult market conditions, dealers will need additional investment to reprofile their business. Non-commercial organizations in Russia that have been included on the register of “foreign agents” have started filing applications to be removed from the list, the Moskovsky Komsomolets tabloid newspaper reports. In March this year, Russian President Vladimir Putin signed a law that allows NGOs to be removed from the blacklist if for a period of 12 months it has not been engaged in political activities and not received funding from abroad. Two organizations have already made use of this law, with seven more in the pipeline. The decision to discontinue foreign funding has had different effects on the NGOs in question, the paper points out. “All that we are currently busy with is dealing with the courts,” said Maxim Kopytov, head of the social projection center Vozrozhdenie. While it is not difficult to prove that an organization does not receive funding from abroad, writes Moskovsky Komsomolets, meeting the other requirement is not that straightforward. The paper predicts high-profile court hearings aimed, largely, at provoking yet another discussion of the notion of “political activity,” which is still not clearly defined in the law. Media companies with foreign ownership are in no hurry to restructure their business following the recently adopted amendments to the law on the media, the RBK business daily reports. The first to act have so far been only the YuTV holding company, a Walt Disney partner, and the publisher Hearst Shkulev Media. From January 2016, Russian media outlets cannot be more than 20 percent owned by foreigners. Thus, foreign investors have two options: Either quit the Russian market or restructure their business in line with the new requirements. The owners of YuTV are hidden offshore, RBK says, so they will have to be reregistered under Russian jurisdiction. Therefore, an inevitable restructuring of the Disney channel will be accompanied by bringing the whole of YuTV from offshore zones, a source acquainted with the holding company’s owners told the paper. For the past two years, YuTV owners have been trying to sell their business, so far unsuccessfully. Now, they are ready to act as buyers themselves in order to later, possibly, sell to third parties an already bigger company. In early July, the CTC Media holding company announced that it had received an offer from YuTV to sell 75 percent of its operating assets for $200 million. The Hearst Shkulev Media group, owned 50-50 by Viktor Shkulev and the U.S.-based Hearst Corp., is also considering restructuring. It does not rule out that the group’s publications will simply be reregistered under a new company. Shkulev has already confirmed that he has become co-founder and managing director of two new companies.